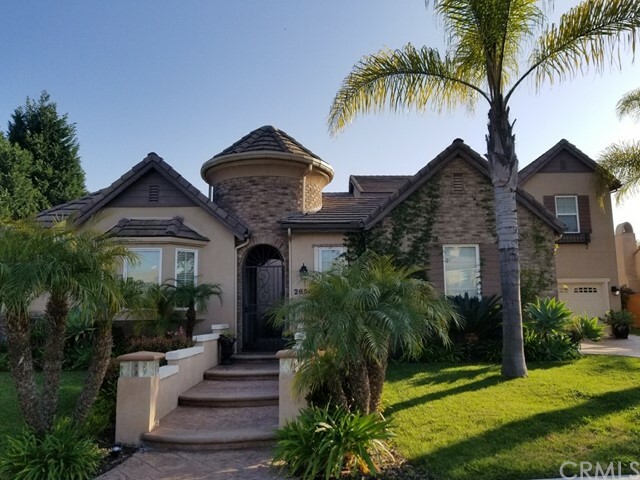 All Chula Vista homes currently listed for sale in Chula Vista as of 04/26/2019 are shown below. You can change the search criteria at any time by pressing the 'Change Search' button below. "*Back on the market - no fault of the property*Multiple offers received but here is your chance again. RARE OPPORTUNITY TO OWN A CUSTOM HOME WITH A MILLION DOLLAR VIEW! Nestled in an exclusive gated community, this meticulously crafted home boasts elegant wood flooring, custom designer kitchen, SS appliances, custom baths, HUGE 15k+ sq.ft. lot w/ a dramatic LONG DRIWAY large enough for a long RV/boat, perfect for multiple vehicles when hosting your next soiree. Rarely available on the market. Wo"
"Top Ten reasons to fall for this Home: !.-Single level 2.-Large Flat great view Lot 3.-Stunning gourmet Kitchen. 4.-Resort like salt water pool and spa. 5.- Open Floor plan ideal for indoor-outdoor entertaining 6.-Highly upgraded Versaille Travertine and wide plank wood floors throughout. 7.-Solar (Leased) 8.- Upgraded three car garage. 9.-Top graded schools. 10.-Endless sunrise and sunset views in this perfect environment you can call Home!" "Welcome to San Miguel Ranch! Enjoy the Elegant Spaces and Views You'll Fall In Love With. The only home on the market with this sized lot and VIEWS! This home features many luxury upgrades like marble flooring, crown moulding, custom wall panels, granite counters, stainless steel appliances, shutters and much more! As you walk through the custom entry door into the dramatic high ceilings and large open concept floor plan with amazing views you will know this is the perfect home for you and your "
"Exquisite Haciendas Plan 2 at Village of Escaya - The Haciendas is the luxurious neighborhood in the new gorgeous community of Otay Ranch.This home has one of the few premium ridge-top locations with Easterly views of the Otay Ranch Preserve. With more than $150,000 in builder upgrades and designer features, this truly is a one-of-a-kind property. The open and bright floorplan with impressive large interiors and voluminous spaces make the Haciendas plan 2 an entertainers delight. See supplement."